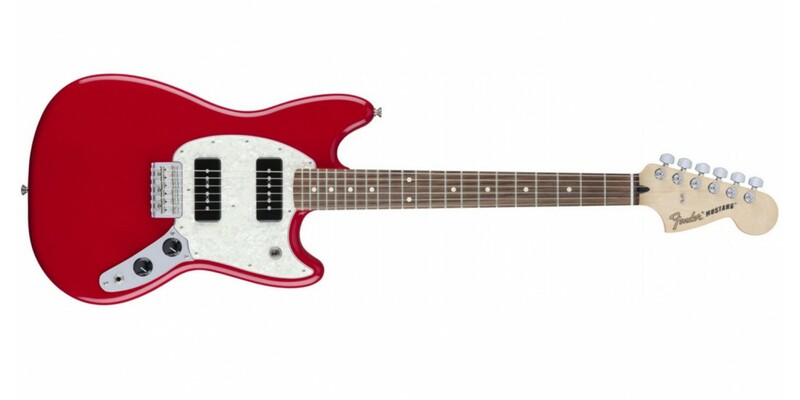 Perfect for garage rock and other styles that thrive on nonconformity, the Mustang 90 offers a distinctive take on a classic model. With upgraded features, unique aesthetics and fat Fender sound, this spirited instrument is perfect for players that march to a different beat. A new take on an underground classic, it stays true to the rebellious spirit that birthed rock ‘n’ roll. 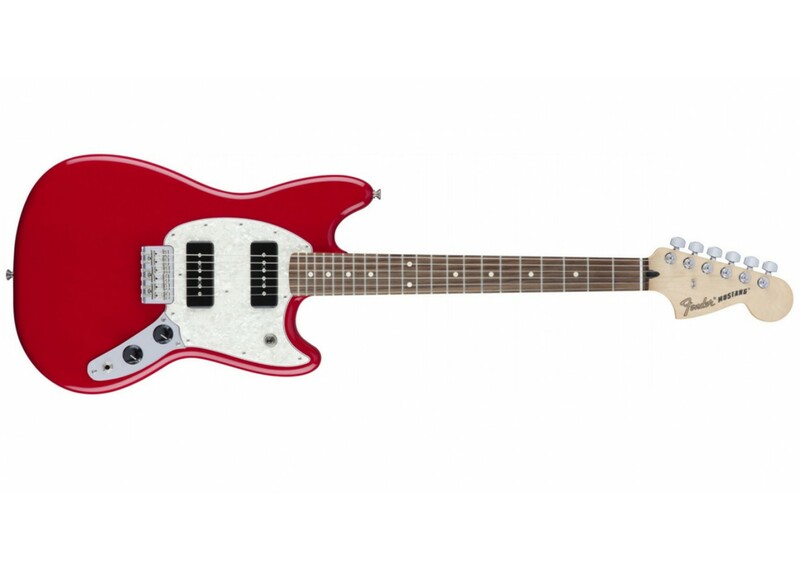 Tonally flexible, the pair of Mustang MP-90 pickups have all the bite and pristine cleans you’ve come to expect from Fender pickups, with a snarly midrange and punchy low end that breathes new life into the traditional Mustang sound. Master volume and tone controls, along with a conventional three-way pickup switch, shape the pickups’ tone to craft your sound. Topped by a 9.5”-radius maple fingerboard with 22 medium jumbo frets, the “C”-shaped maple neck is comfortable for all playing styles. The six-saddle string-through-body hardtail Strat® bridge increases sustain while the bent steel saddles add a touch of “cut” to your sound, and are adjustable for spot-on intonation. The 24” scale is ideal for players with smaller hands, while adding a bit of warmth and thickness to the guitar’s inherent tone and giving it a slinkier playing feel.